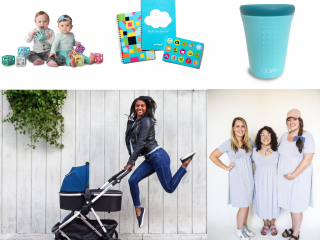 It can be overwhelming to figure out what baby care kit items to add to your registry. 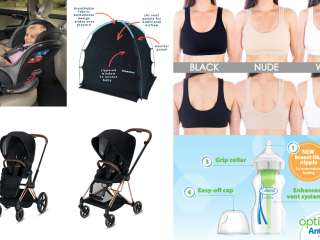 Luckily, The Fridababy Baby Basics Kit has everything you will need for baby care in one handy spot. 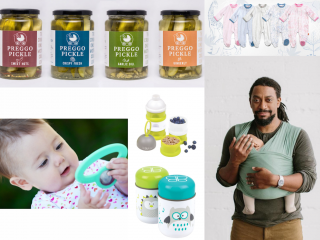 This registry essential set features four of Fridababy’s essential newborn must-haves for baby care and really makes a perfect baby shower gift for a new parent. 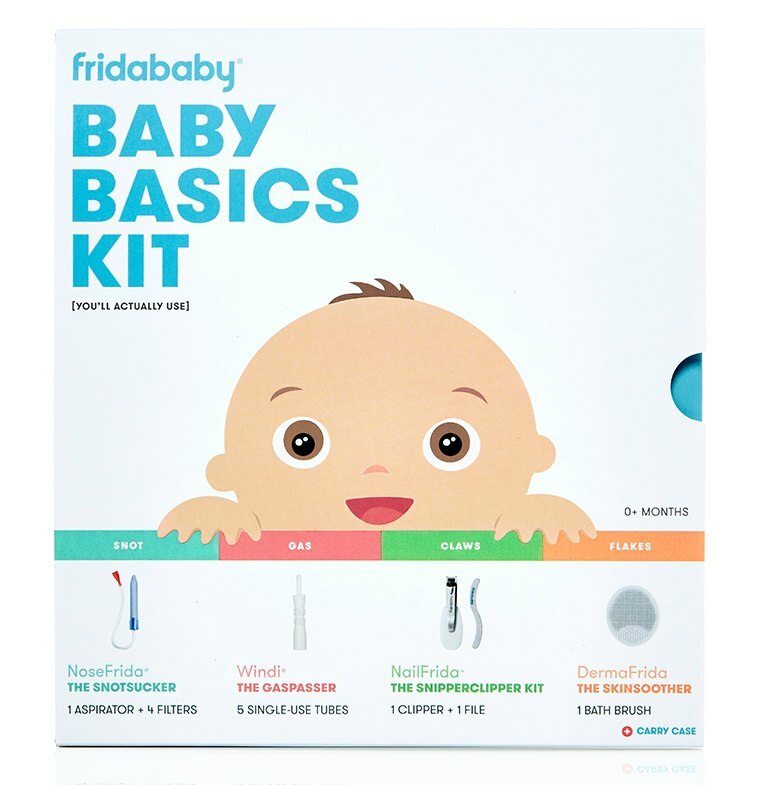 Sometimes life with a newborn can be chaotic, but the Fridababy Baby Basics kit is your baby care kit to stay prepared and ahead of the game. 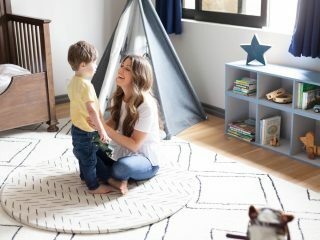 With its convenient carry case to keep the ingenious tools all in one place, you won’t be searching high and low in the middle of the night for that one item you need! 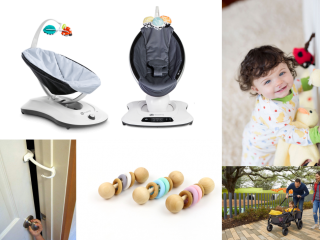 The Fridababy Baby Basics Kit is a baby care kit featuring four must-haves for life with a newborn. 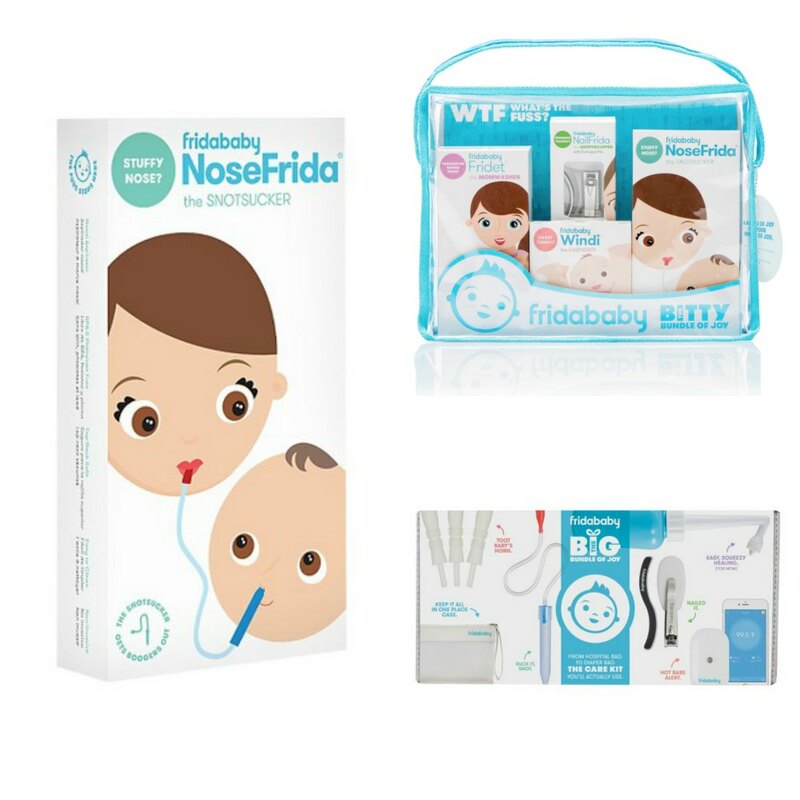 The Baby Basics Kit includes the ever popular NoseFrida The Snotsucker, the pediatrician-recommended cult favorite natural, hygienic baby nasal aspirator; Windi The GasPasser, the doctor-invented hollow tube that lets gas escape and calms colic, instantly and naturally; NailFrida The SnipperClipper, the clipper-meets-scissors mashup designed for little fingers with a safety spyhole to see where to clip, plus an S-Curved nail file to smooth rough edges; and DermaFrida The SkinSoother, the antibacterial silicone baby bath brush that will keep baby’s skin healthy and flake free. 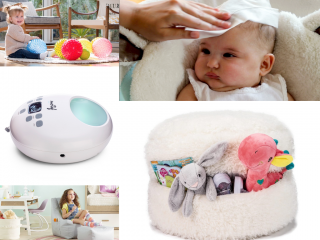 Be prepared for parenthood with a baby care kit you can count on, such as Fridababy’s Baby Basics Kit; a baby care kit is an essential baby registry item, so plan ahead and make sure you have your baby care kit ready to go before baby even comes. 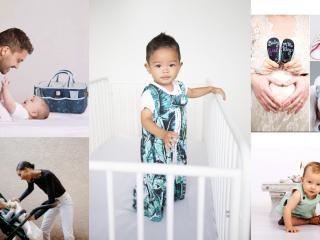 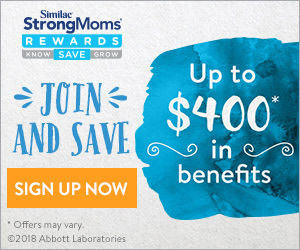 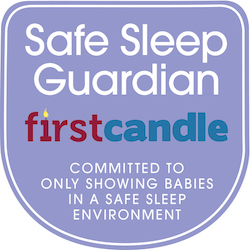 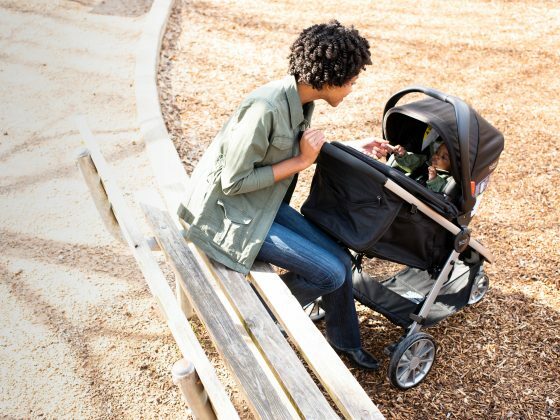 Thank you to our friends at Fridababy for making this sponsored post possible.